This stop on the group’s route from Ketchikan to Wrangell. It was one of the highlights of the entire trip. 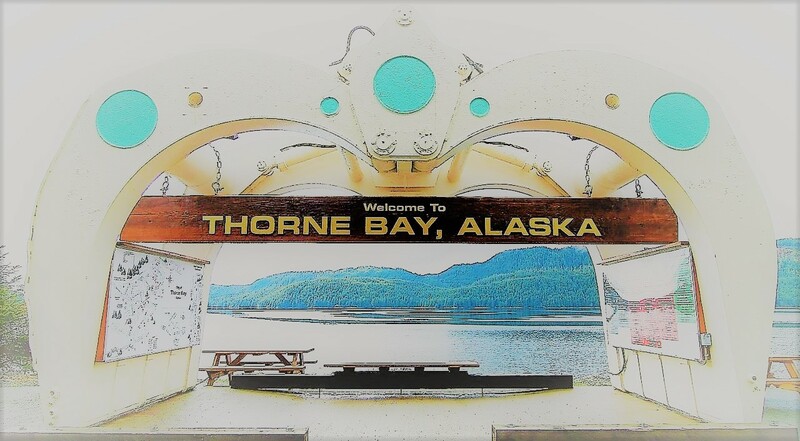 Thorne Bay is a gem of a cruising stop tucked in quietly and comfortably along the west shore of Clarence Strait and probably overlooked for the more well-known anchorage at Meyers Chuck 11 miles away on the east shore. 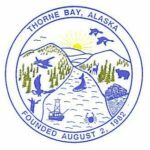 Both are about 40 miles up the strait from Ketchikan at about the point where a decision is made whether to take the direct route to Petersburg or the route to Wrangell.